The Henry Center welcomes Timothy Laniak who is the Academic Dean at Gordon-Conwell Theological Seminary (Charlotte Campus). Dr. Laniak has served as a missionary in 15 countries in Europe, Asia and the Middle East, as the director of the International Fellowship House in Boston, and as a welfare housing manager for elderly immigrants in Brookline, MA. He launched the Urban Ministry Program at the Charlotte campus and directed it for eight years. 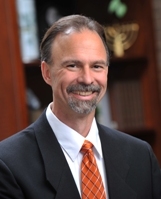 Dr. Laniak also has a long-time interest in the relationship between Scripture and cultures. Those interests shape the talk he will be giving on the theme of “Shepherds After My Own Heart: The Enduring Challenge of Pastoral Identity.” The most consistent biblical metaphor for leaders among the people of God is the shepherd. But what, really, is a spiritual shepherd? Beyond the specific job descriptions and role expectations of others, what does God expect of us? How does God see us? In this illustrated presentation, Dr. Laniak will take us into the world of Bedouin shepherds for unique perspectives on Scripture’s challenge to shepherd God’s flock. Come renew your pastoral calling with images and insights designed to keep you on course as you serve the Chief Shepherd. Let God reset your identity as his shepherd. All are welcome; the lecture is free and will take place in the ATO Chapel on Wednesday, September 14, 2011 at 1pm.